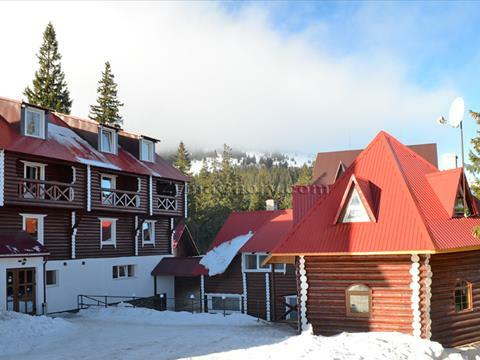 "Stara Fortetsia" mini-hotel (in English means "The Old Fortress") is built in Dragobrat in 2015; it is the highest ski resort of Ukraine. There is "Karpatska Chaika" ropeway in 150 meters and the slope for training. "Stara Fortetsia" consists of a mini-hotel, a two-storey cottage and a wooden house. The five-storey hotel has 15 rooms intended for 32 people. There is a ski equipment rental, a wooden restaurant, a sauna for the comfortable rest of the guests. There is also parking for 10 cars near the hotel. Hotel has Wi-Fi cover as well. This hotel has 12 double rooms and 3 triple rooms of "standard" class. • there is a balcony in the three rooms. • bathroom (toilet, wash basin, shower, 3 towels per person). • bedroom is on the second floor: double bed, 2 single beds, cable TV, bathroom (shower, toilet, wash basin, 3 towels per person). Two meals a day are included. There is also a wooden restaurant for 50 seats. The prices can be specified in hotel's administration as to the telephones indicated below. The hotel offers a restaurant on 50 seats. 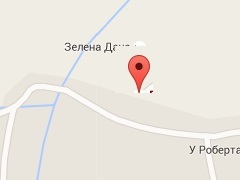 We invite you to stay in "Stara Fortetsia" mini-hotel!